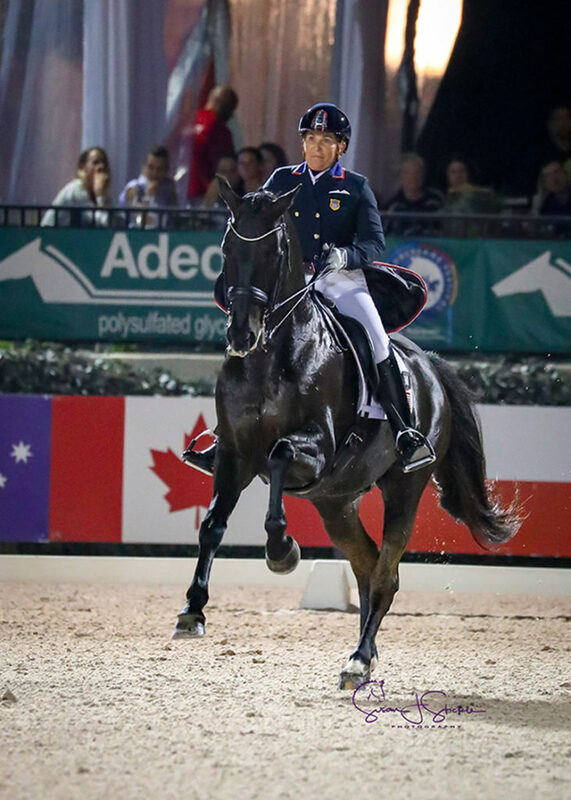 The “Friday Night Stars” shined during Week 10 of the Adequan® Global Dressage Festival (AGDF). The night featured the FEI Grand Prix Freestyle 16-25 CDIO-U25 presented by Diamante Farms and the FEI Grand Prix Freestyle CDIO3* presented by Stillpoint Farm. Spectators enjoyed a great evening of freestyles and the presentation of the FEI Nations Cup™ CDIO3* team medals. AGDF 10 wraps up on Sunday, March 17, and the circuit continues through March 31.